While many have their doubts about Barack Obama's loyalties, we can be confident that they are not to the United States. However, he is not the only one that some are concerned about where their loyalties lie. On Friday, the Obama U.S. State Department notified Congress of its intention to remove the Marxist-Islamist death and murder cult, Mujahedeen Khalq (MeK) from the Us Terror list of Foreign Terrorist Organizations (FTO). "I am not in a position to confirm the contents of this, because it's classified, but we anticipate being able to make a public announcement about it sometime before October 1," State Department spokeswoman Victoria Nuland said. 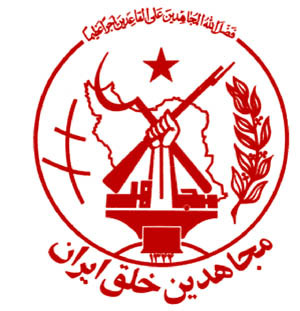 ...the MeK is jointly funded and trained by Israeli and US intelligence to carry out murder and mayhem inside Iran against civilian targets. It is the murderous and violent vanguard of the US and Israeli war against Iran. It launders money from Israel and the US through US politicians who on one side of their mouths scream about the need to fight terrorism while on the other they accept millions to lobby for one of the most brutal and bizarre terrorist cults on earth. Many do not realize that the MeK was not always opposed to those currently ruling Iran and their revolutionary forebears. In fact they fought alongside the current regime to overthrow the Shah and seize the US embassy in Tehran. As often happens with revolutions, the MeK was formed after a falling out among the revolutionaries. In many ways they have become more fanatical than the group who eventually took charge in Iran. It appears the only arrow in Washington's foreign policy quiver is to support the most radical and extremist elements in hopes they will overthrow the "bad guys" and not afterwards turn against us. Ambassador Stevens's untimely end is just one recent bit of evidence of the success of that strategy. But, to invoke Talleyrand’s classic observation that a certain action was “worse than a crime—it was a mistake,” delisting the MEK is not just a moral abomination; it is a huge strategic and policy blunder. It is hard to imagine how the Obama administration could signal more clearly that, even after the President’s presumptive reelection, it has no intention of seeking a fundamentally different sort of relationship with the Islamic Republic—which would of course require the United States to accept the Islamic Republic as a legitimate political entity representing legitimate national interests. Count on this: once the MEK is formally off the FTO list—a legally defined process that will take a few months to play out—Congress will be appropriating money to support the monafeqin as the vanguard of a new American strategy for regime change in Iran. In the 1990s, similar enthusiasm for Ahmad Chalabi and the Iraqi National Congress—who were about as unpopular among Iraqis as the MEK is among Iranians—led to President Clinton’s signing of the Iraq Liberation Act, which paved the way for George W. Bush’s decision to invade Iraq in 2003. The chances for such a scenario to play out with regard to Iran over the next few years—with even more disastrous consequences for America’s strategic and moral standing—got a lot higher today. It is amazing when many American citizens who are not terrorists can't even get their names off a "no-fly" list, nor can they find out why they were put on it and yet those in power can just wipe the slate clean for known terrorist organizations and welcome them with open arms. Only in Washington!